Watch the special issue on Thursday, October 27 at 22:00. 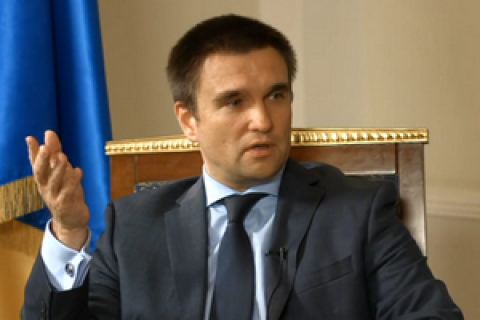 Pavlo Klimkin is considered one of the most successful Ukrainian foreign ministers since independence. In times of military aggression on the part of Russia and several formats of peace talks on the settlement of the situation in Donbass, the work of foreign policy chief is never done. His main mission today is to inform the world about the changed and reinforced after the recent meeting of Normandy Four leaders position of Ukraine on the settlement of the conflict in Donbass in general and elections in particular. Will elections be held and when? How strong are the Minsk Agreements? What are the results of the probe of the joint investigation team into the MH17 flight disaster, whose mandate is extended for another nine months? Will the EU really give Ukraine visa-free regime by year's end? Foreign Minister Pavlo Klimkin will answer these and other questions in the special edition of the program "Left Bank with Sonya Koshkina" on Thursday, October 27 at 22:00 on Channel 24. The textual version of the interview will be posted on LB.ua in the near future.